Who ever said that fat loss is impossible without cardio? According to scientific research, no aspect of fat loss is more exaggerated and overrated than cardio and it’s clearly evident that excessive cardio is detrimental to muscle mass. But why force yourself to do something you don’t enjoy (let’s face it, only a tiny minority of gym-goers is able to actually enjoy their cardio sessions) when there are others, far more effective ways to burn off stubborn pockets of body fat and boost your muscle gains at the same time? Recent studies show that by simply adding high-intensity finisher sets to your workout you can achieve dramatic fat loss without ever having to perform endless sessions of cardio which undoubtedly increase your risk of losing precious muscle mass. In fact, you don’t even have to add any extra work to your routine – all you have to do is optimize your final sets and make them as brutal as possible. Read all about it in this article! A finisher is a very intense exercise or series of exercises performed at the end of the workout. Their one and only purpose is to make sure that you’ve pushed yourself a step beyond your limits and spent every last drop of gas from the tank – a process that only a few masochists would call fun, but as soon as it’s over, you’re bound to get a rush of satisfaction from being so ‘tough’ back there. Intensity is the key to fat loss – when you opt to crush the final set of an exercise instead of performing it in a traditional way, you get multiple benefits, including accelerated fat burning. One study which compared the effects of high intensity interval training (HIIT) and endurance training on young people found that the HIIT group lost around 9 times more fat than the traditional endurance training group. A similar study that inspected the differences between an average weight training program and a high-intensity resistance training program, found that the subjects who performed the latter had a 450% greater fat loss in the 24-hour post-workout window, even though their session was shorter and included less volume than the traditional program. What these two and many other studies have revealed is that by simply taking your final sets to the extreme, you can substantially boost fat loss while retaining muscle mass, thereby improving both your muscle size and definition with the help of the same workout. How great is that? Not only that you don’t have to force yourself to go running every morning, you get to do all the work necessary for a chiseled, lean physique in one single trip to the gym. There are many great ways to optimize your final sets and increase their fat burning power. Below we’ve listed 4 sure-fire techniques you should employ to maximize the fat-loss benefits of your training sessions! 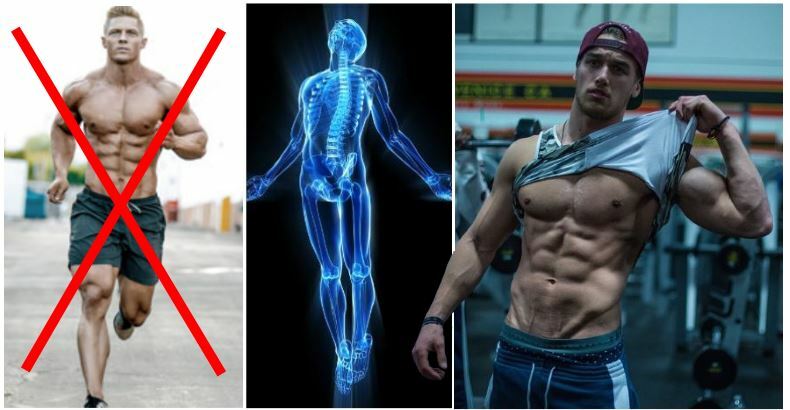 This advanced method is nothing new to the weight lifting world – it has been utilized by pro lifters and gym rats alike for many decades now. Rest-pause training is great for many things: it’s an ideal way to increase your strength and bust through training plateaus; allows you to lift heavier weight for more reps, thereby hammering the muscles and causing a great metabolic stress that contributes to better growth; it keeps you lean by promoting the body’s ability to burn off fat. In the bodybuilding community, the rest-pause method is considered as an effective way to fatigue the muscle fibers more deeply and stimulate a greater force production than you would during a straight set. Rest-pause training is best used during accumulation phases when the goal is muscle hypertrophy and endurance gains. By incorporating this type of highly intensive training into your routine, you can easily tone your muscles while maximizing their strength and size. That being said, the use of rest-pause sets is most suitable on assistance lifts, not the main ones. Pick a weight where you can perform 10 reps with proper form. Go to failure on your last set. Perform another set to failure (aiming to pull off 5 reps). Perform a final set to failure (aiming to pull off 3 reps). As your training response improves, reduce the amount of rest time between the mini sets.